Templates-Master team is pleased to present you the latest collection of Magento free themes. All of them have been developed by different developers and comes in different styles and under different liceses types. You can use these templates as baseline whether if you are new to online shops or you are already an experienced user. The collection is provided as filtrable grid. So you can sort the themes by compatibility with different Magento versions, responsive and multicolor design support, etc. If you are interested, please check complete collection bellow. Also feel free to contact us if your theme is missing in this post. This entry was posted in Magento Themes, Magento tips on August 28, 2013 by TemplatesMaster. Without any doubts Magento Commerce is most powerful open source ecommerce software that you can use for your store. Our team have been working on creating Magento extension and themes from initial release in 2008 and now we have more than 100 Magento products to chose from. Our clients are always asking about what our extensions they should use in order to improve their Magento stores first. 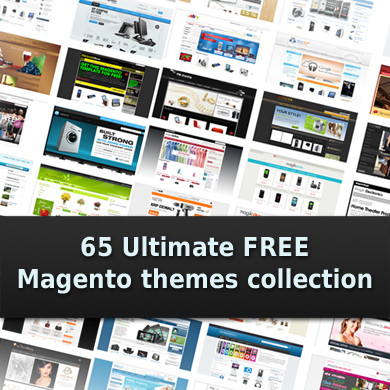 Last year we already published list of most popular free Magento extensions. So here we have created list of 5 most useful Magento plugins for your ecommerce store created by our team. We have arranged our extension according to customers benefits and popularity. Fire Checkout provides full support for all payment and shipping methods, which means that there will be no core modification needed to install your new one-page checkout solution. Improve your store checkout process and increase your sales today with Fire Checkout. Apply less effort and get more customers. Fire Checkout was created more than 2 years ago and now offer more features then any other one page checkout extension for Magento. We have created Mobile Star Magento theme that will help you join new e-commerce revolution and build your mobile presence just in 5 minutes. Mobile Star is specially designed mobile magento template that will work on iPhone, Android and any other advanced phone. The best theme features is that it doesn’t affect your desktop theme and greatly improves your mobile users experience. Recent extension release provided better support of Retina displays. Every store owner would like to highlight their products among search results in order to get more organic traffic. Rich snippets is easiest and most efficient way to do that. Snippets is few lines of text that appear under every search result that give users additional information about your store products offer. According to SEOMOZ you can get up to 30% click through rate increase with Google Rich Snippets installed. Attracting customers attention to featured products and special offers is easiest way to increase sales and improve inventory management. Are you looking for an easy way to add "Save 49$" labels to your sale items or notify your customers about clearance? Prolabels provide easy and flexible way to create professional looking call-to-action labels for your Magento store. Recent Prolabels 2.0 release was fully rewritten and now offer support for big products databases. AjaxPro extension deliver amazing user experience to your customers. Makes shopping at your store easy and fast. Allow your visitors to add products to cart and edit shopping cart content faster. Forget about slow page reload. If you have any idea for new Magento extension then simply contact us at our contact form. This entry was posted in Magento tips on May 15, 2013 by TemplatesMaster. More and more companies nowadays are using the Internet to advertise and sell their products. This comes as no surprise, especially since the World Wide Web offers unparalleled reach and convenience for both store owners and their customers. With the sheer number of e-commerce sites, however, online business owners must ensure that their websites are optimized to enhance the shopping experience. Navigation Pro: Site navigation is of utmost importance for online shoppers, and the easier it is to browse a store and find a product, the longer a customer will use the site. This extension from Magento allows businesses to design site navigation easily and includes multiple options for presenting web pages. You can choose among vertical or horizontal menus, which can be drop-down, static or folding in nature. 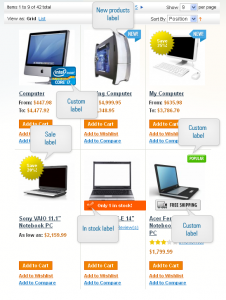 Products can also be grouped into different categories, with each category page coming with its own design. Products Highlight: Business owners may need to highlight a few products on their landing pages, especially those that are new or on sale. With this Magento extension, products can be easily filtered according to price, category and other attributes. Businesses can also easily present most viewed and bestselling products using this program. Social Suit: A large percentage of Internet users are active social media users, so it’s important for businesses to provide a way to connect with customers using these platforms. Magento’s Social Suit makes it easy to integrate social media functions into a business website. With this extension, customers can easily share their wishlist with friends (who may in turn make the purchase from the store), post reviews, like products and add comments regarding a specific product. Having a strong social media presence is a great way for companies to advertise their products and services as it is inexpensive yet very effective. Fire Checkout 2: A company’s success doesn’t rely solely on the number of customers that visit their store or the amount of time a buyer browses products — whether a customer actually makes a purchase is of greater significance. As such, it’s important to make the checkout process as hassle-free as possible. 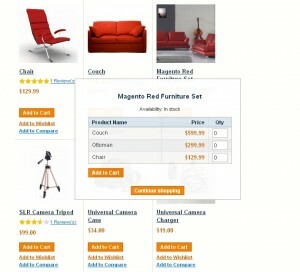 Magento’s Fire Checkout 2 offers customization options that can help create a simple yet effective checkout process. Features include flexible layout, geolocation support, and support for multiple options for delivery and payment methods. This entry was posted in Magento tips on July 21, 2012 by TemplatesMaster. For many shoppers, the invention of the Internet and online shopping is a boon. On one hand, they can make informed choices on the products they are eyeing to purchase. This means they can find products that give the best value for their hard-earned money. Additionally, there are websites that give definitive reviews of products available both offline and online as well as those that validate the legitimacy of online merchants. On the other hand, shoppers can also purchase products without leaving the comfort of their own home. They can easily pay for their purchases through the use of their credit cards or through PayPal. All they have to do is add the item they wish to purchase to the online shopping cart, pay for it, and the product will be delivered straight to their doorstep. Similarly, online shopping is beneficial to merchants. For those with a traditional brick-and-mortar store, having an online shop is a perfect opportunity to expand their reach. To start-ups, this is an opportunity to enter the market without having to worry about the monthly overhead costs associated with maintaining a traditional store. Additionally, they have a variety of online tools and helpful software like the Magento Help Desk to help them promote their business and provide top-notch support to their customers. Just as a quality product can establish a business's reputation, unresponsive customer service can easily destroy that hard-earned reputation. But just about any small business owner will tell you that a smaller enterprise has to contend with limited resources, including manpower. It comes as no surprise that some staff members of a small venture perform multiple tasks, including answering queries from potential customers as well as resolving issues raised by buyers. This can take a serious toll on your operations, particularly if the time of your staff is drained because they have to engage your customers instead of performing other essential tasks. Luckily, you can automate this essential task with software available in the market — like the Magento Help Desk. By using such software, you can accept tickets through emails, through a customer form or through your own customer account page. And you can do this 24/7. This software also features the linking of tickets with customer orders so that issues can be resolved promptly and much more conveniently. Your staff will also appreciate the automation process because instead of answering the same questions over and over again (rather than attending to more pressing matters), you can use a quick answer tool and a knowledge base management tool to help answer common questions that prospective customers ask. Additionally, inactive tickets are swept to the sidelines while more important issues are brought to the forefront to be immediately resolved by your staff. Businesses are not just about offering a product selling it. It is also about building a relationship between a company and its customers. And this relationship starts by providing top-notch customer support. This entry was posted in Magento tips on July 5, 2012 by TemplatesMaster. Consumer behavior changes as new technologies are introduced. Your buyers are no longer spending hours on end in your store, looking for that one item they need. Moreover, your business isn’t limited to its physical location. As the World Wide Web takes over just about everything people do — from communication to shopping — your business has found it necessary to maintain its Web presence. Neglecting it, or worst, disregarding it, could be detrimental to your survival in a competitive market. 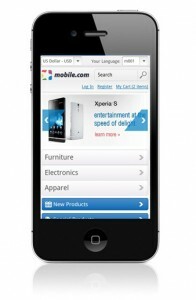 A great new trend has recently been added to the Web ecosystem, and that is mobile commerce, also known as m-commerce. Your shoppers have shifted from desktop shopping to mobile shopping, which in essence is actually great news because it creates vast opportunities for your business. This could mean having the ability to reach out to your buyers or clients, wherever they are and no matter what they’re doing. This could mean that your shoppers can make quick purchases. This could mean instantly informing your buyers of upcoming in-store events, coupons, or seasonal sales. Of course, all these will also mean having the sufficient system to carry out such goals. And this is where Magento mobile solutions come in. Magento is a recognized e-commerce platform. It enables small- to large-scale online stores to provide a seamless shopping experience and manage the business efficiently and effectively. The functionality and potential for marketing opportunities is further expanded when you use modules that work well with Magento. With 63 percent of smartphone users using m-commerce to make their purchases (comScore), your business should be looking at a mobile solution designed with Magento in mind. A mobile solution for Magento can optimize your website to work for smartphones, making it easier for your shoppers to search a product, browse through your stock, place an order, and do check out. Some businesses that still haven't caught up with m-commerce to this day may find their shoppers clicking away to other sites because their websites aren’t viewable on the small screens of mobile phones and even tablets. A lost opportunity is a loss in sales. When your online store loses enough traffic in a single day, it could create a huge dent in your quarterly profit goals. Your consumers are on the move, and they are looking to shop and do business with stores that allow them the convenience of m-commerce. From searching and making price comparisons to buying products on the fly, from availing of special coupons to browsing for and sending gifts, make the whole shopping experience as simple and appealing as buying in-store. Look into mobile solutions for your Magento store today. 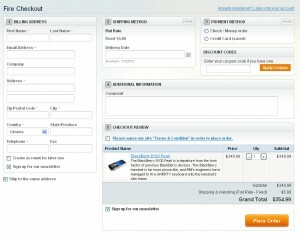 This entry was posted in Magento tips on June 15, 2012 by TemplatesMaster.